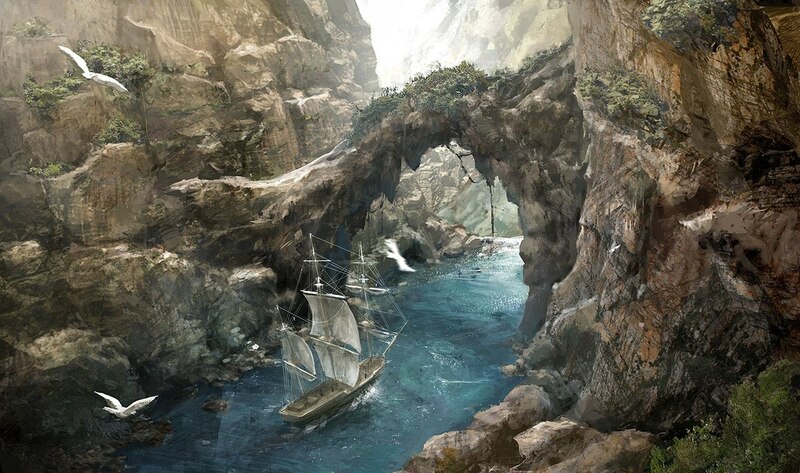 Ah... the secret Pirate Cove! Well, once again -- this picture "looks like" it could be a cover to one of the 'Escape to Paradise' novels !!! Heading toward -- the jungles of Brazil ! I totally love this picture !!! Interesting, beautiful, and the colours are just so neat ! Yes .... off to the 'secret Pirate Cove', indeed. Count me in !!! Oooh, it looks warm. I like it! Oh, I love this one! The colour of the water ... that arch of stone ... the greenery sprinkled around ... gorgeous!! I want to go there! Gorgeous picture! Wish I could paint like that. Into the hidden cove the pirates sailed. Though they sought a safe haven the dark shadows foretold of unknown dangers. I like the colors and the imagery of this picture. Have a super day full of adventure. Thanks Ladies! This is one of my favorites too!!! I wish I was on that ship.. it's so beautiful and peaceful.... Hugs..